Students of St. Edmund’s College gathered together earlier today in a peaceful demonstration against the appointment of Dr. Noah Carl, following controversy over his involvement in eugenics writing and its implications for the University’s stance on racism. Student protesters accused the College of locking the two side entrances. College staff were present standing by the Combination Room’s side exits. When approached by Varsity, staff members answered that they were there for “security reasons”. One College staff member, who was present to stand guard at a side exit, told the student protesters that she felt “humiliated” having to stand guard at the entrances. The protest was held before a College Council meeting, to be held at 5:15pm on the same day. The Vice-President of the St. Edmund’s College Combination Room and the Vice-President of the Graduate Union, Mrittunjoy Guha Majumdar, were present. Students called for the retraction of Carl’s position as Toby Jackman Newton Trust fellowship, chanting slogans such as “racist fellow’s got to go”, “rescind the fellowship”, and “silence is complicity”. Student representatives criticised the college for becoming a “racist safe haven”. Students later marched to the tutorial wing of the college, banging on the office doors while shouting slogans. Tutorial staff did not respond to the students’ actions. Shortly afterwards, protesters gathered outside the Master’s office and read out their open letter, which was sent to the College Council two months ago. One academic who signed the open letter against the appointment of Carl last year, delivered a speech in the protest. He read out snippets of mails he received criticising the opposition of Carl’s appointment, and emphasised that Carl’s research has been “debunked and refuted”, with “wrong premises”. They also pressed for students to talk to fellows of the College, who should “stop burying their heads in the ground”. Various students spoke at the protest, condemning Carl’s research and the appointment. A PhD student argued that the appointment is not in line with the College’s history, as the College was founded “against oppression and marginalisation” and has since its founding allowed Catholic, Jewish, and Non-Conformist students to return to the University for the first time since the Reformation. 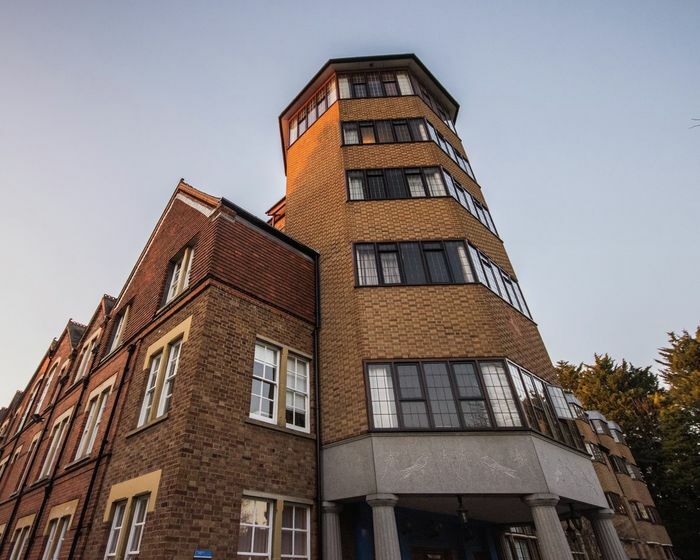 A representative from the St. Edmund’s Combination Room said that the student body had been “treated as adversaries in their own college” as their enquiries into the matter have been dealt with as Freedom of Information requests. The Graduate Union said: "We stand with the students of St. Edmund's College CR protesting the appointment of Dr. Noah Carl, who has written on eugenics and race-science, to a fellowship in the college. We register our strong protest against this appointment and would like to see the fellowship being rescinded." Updated, January 29th 2019: This article was amended to include further comment from a spokesperson St Edmund's and the Graduate Union.